We are a leading Authorized Wholesale Dealer of manila rope pulley block, rope pulley block, single sheave pulley block, double sheave pulley block and triple sheave pulley block from Hyderabad, India. 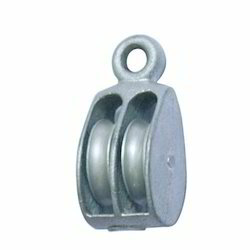 We are a trusted name in the industry for wholesaling and trading Manila Rope Pulley Block the offered pulley block is ideal for suspending manila rope and is provided with a single sheave. It is exceptional in quality as made from high grade alloy and metals. Our product range has earned us huge appreciations for being in tune with the industrial standards and the prevalent market trends. We are the pioneers in the industry for wholesaling and trading Snap Manila Rope Pulley Block. 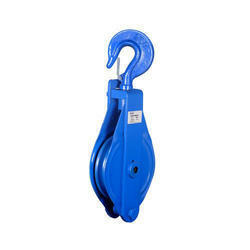 It is used for suspending manila rope and effective in bearing heavy loads. 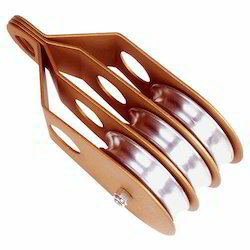 The offered product is made from high grade metal and is resistant to corrosion. Our dedicated efforts have earned us a huge clientele and loads of profits. We are known for the timely delivery of orders owing to our major transportation network. 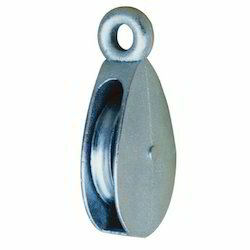 We are the leading wholesaler and trader of Single Sheave Pulley Block, which is extensively used in shipyards, fisheries, coal mines and construction industries for suspending ropes. It is sturdy and exceptional in strength. The product is resistant to corrosion and wear & tear. We follow stringent parameters of quality control for delivering flawless products to our revered patrons. We have earned a sterling reputation in the industry for wholesaling and trading Double Sheave Pulley Block. 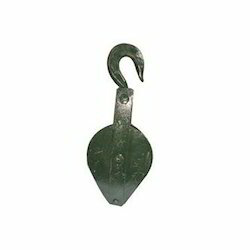 The offered sheave is resistant to wear and tear as made from high quality of alloy and metals. It is tolerable to weathering and is used for suspending cords for lifting heavy loads. Our products are procured by experienced procuring agents and checked for quality assurance in well equipped laboratory. We are a trustyworthy organization offering a wide a gamut of Triple Sheave Pulley Block. Looking for Manila Rope Pulley Block ?